"Am I going to have to go to my own funeral naked?" Lately I don't feel very excited about clothes. Oh, I like them well enough, but can you remember the days when you absolutely ached to own something, or felt such pleasure in your new dress that you were breathless when you put it on? I don't think I've felt such a frisson since I bought a Parachute pantsuit in 1973; I felt like Bianca Jagger, and probably acted like her, too. Walked into the boutique where it slinked in the window, laid down an unconscionable amount, never a regret. Maybe that kind of clothes joy is meant to go the way of first nights with a new love, a memory that may be more entertaining in hindsight. But now I feel more relieved than anything else when I find something I like. I once stopped in Detroit to visit my 80-something year old Aunt Mabel, a glamourous blonde who was the life of any party for, as it turned out, 102 years. You would have loved her: Lauren Bacall meets June Cleaver. "I am desperate for clothes", she told me in Hudson's parking lot. "Am I going to have to go to my own funeral naked?" It's getting harder to muster an outfit that delights. Lumpy hems, plastic thread, acrylic fabrics on garments that cost more than a plane ticket to Barcelona. Maybe, given the boomers shifting up the ladder, someone will get hold of decent textiles and draft patterns for shortening and shifting bodies, for fingers not as nimble as they once were, for hearts still lifted by a beautifully-cut garment. We need more ageless items, things that don't look like one has given up. Looks like someone might be catching on? The other thing I try to remember is that nothing I buy off the rack is going to be letter-perfect for me. I buy clothes with the idea that I'm probably going to have to alter them, usually in the vicinity of the waist. Sometimes I also have to have the sleeves shortened. But as long as the basic cut and materials are good, I'm willing to shell out a little extra to get it just right. It makes the difference between something I wear -- and get my money's worth out of -- and something that hangs in the closet until I thrift it or give it away. I agree Duchesse, it IS hard to find clothing that excites anymore. Shoes- yes, bags -yes but clothes to me have become more of a backdrop. 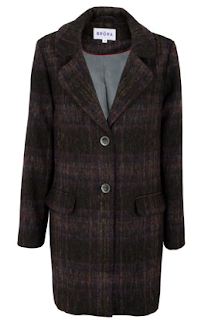 That Brora coat looks divine, too bad in LA my CPW would be too high to justify. The Lafayette 148 is nice looking too, and their quality tends to be pretty good. What a great quotation. 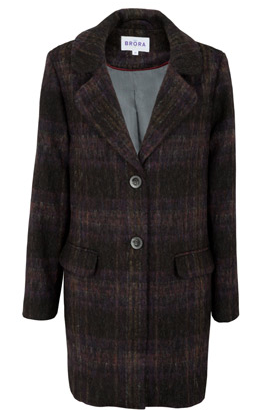 I love that Brora coat to pieces. People are wearing things like that in San Francisco this year. Because I am starting a new job, maybe, I am still enjoying finding clothes. It's like solving a puzzle, to me. Lafayette 148 has the number of the 50ish and beyond woman I think. Before even clicking onto your blog this morning, I had spent some time perusing their website. Nordstrom's carries a decent variety from the Lafayette line, but not nearly everything. I am still wearing every item of Lafayette 148 that I have ever purchased. I have a charming "day dress" from several springs ago and a wonderful skirt I found on some obscure website. One of my go to night time dresses is Lafayette too--beading at the neckline and feathers too. It qualifies for black tie and also a little less dressy than that. I haven't heard you mention Eileen Fisher, whose line seems more with it these days. Some of her things are still too voluminous, but you don't have to choose those. I've never been a clothes maven, never yearned for any outfit, but do enjoy having what I need for most any occasion. It bolsters my confidence to be well dressed. Oh and I thought it was a malaise suffered only by me...I'm off to research Lafayette 148. Love that Brora coat too. I am enjoying simplifying my wardrobe right now. But, I did buy a great dress for my daughter's wedding and I'm quite excited about that! This is a conversation I've been having with my sister for quite a while - she is tall, so finding interesting, well-cut and well-made business clothing for her is almost impossible anyway - and we've decided the the whole retail scene is boring. It is not just the clothing - it's everything associated with the experience. This is why I'm determined to sew. One reason for the lack of excitement is that we know there's always another nice piece of clothing coming up. We've also learned that quantity leads to confusion. I keep trying to tell my daughter these things, but, like me, she's going to have to learn on her own. The lack of excitement isn't ALL bad. Rubi: I have to find a tailor here! pseu: Overall I like the quality but (and this might be me) not as much as 5 yrs ago. LPC: Me, too; it's kind of retro but not enough to be costumey. Susan: Nice vote of confidence for Lafayette 148. I have mentioned EF from time to time, and my current sentiment is that I should like them more than I do. Though they have added more shaped pieces, they do not fit me well. hostess: You are welcome; they make petite sizes, too. Ali: Only if closed casket. kathy peck: What fun! What did you choose? Toby: I am 5'10". When I needed full business drag, had no trouble finding jackets but skirts and pants were always hard. Susan Tiner: Had very mixed results sewing. Made cool men's shirts, some skirts, but also wrecked plenty of stuff. It is a skill that takes time to accrue and patience to execute. frugal: I am not finding nice piece after nice piece; suspect it is my size, 14-16, which many designers will not make. Love the Lafayette 148. I'm definitely going to check out their site. Thanks for the idea. My wardrobe is so minimal right now because of not finding anything I'm willing to buy. And reluctance to sew, although I'm dusting off my machine and getting started again. Love Yeohlee Teng! Have the spring fashion shows started already? Where did those pictures come from -- I'd love to look at the whole line. I get excited over very little these days, too, but coats are the exception. I love them. In the words of Mme. Genevieve Darriaux, "I wish we never had to take them off." Relief vs. delight--that's it, exactly. An epidemic of low quality fabrics, overly embellished designs, and cheap colors are making dressing less pleasurable, it's true. But I've also realized that I'd been taking a heavy bag of rules and pejoratives along with me when I shopped for clothes: "nothing too low cut;" "dark jeans only;" "dress to look taller; "no ruffles;" "no colored socks;" "inappropriate; "too young;" etc. Last summer I made a conscious decision to shelve the bag of rules and trust my instincts. And delight returned. It started with a slouchy pair of pale blue boyfriend jeans. I love light blue, and loved the cut of these jeans; I had to have them. Suddenly all my summer t-shirts, cotton cardigans, and cashmere turtlenecks felt rakish rather than predictable. Such an insignificant act of disobedience, yet it started a cascade of choices--a haircut, more jeans, some boots, prettier colors--that felt better than anything had in a long time. Sometimes having fun requires breaking a few rules. Duchesse, This is the first year I've been able to wear Eileen Fisher pants. I have two of the knit pants that fit me well. Once is size M and the other size L. Go figure. I think the issue for you is that they will not be long enough. I'm 5'8" tall and they are long enough for me--but in past years, her pants were too short for me too. I think EF responds to customers---perhaps you could ask for longer pants in the comment section of their website. They also have a facebook page with lots of comments by customers. I love their viscose jersey. It is so soft and easy to wear. This fabric alone has changed my attitude about EF. I'm not into their silk or linen jersey. It remains to be seen if there will be anything for me in their spring/summer line. Lorrie: Good for you; tell us how it goes. sisty: Yeohlee from Style.com, last fall's fashion week shots for Spring 12. Funny you quoted Mme D., just finished her book on entertaining, which has not held up as well as "Elegance" but was retro fun read. C.: Enabler! Thanks to your comment I just bought an EB cashmere v-neck (that's the rule part)... in a colour called "pink tourmaline"- directly your influence. Susan: You are right; I tried on some EB pants today, too short. A lot of my height is in my legs. Love the Lafayette outfit! I've never bought anything of theirs, but have been scoping them out recently at Nordstrom's; oddly, first heard of them on the Today Show Friday makeovers, when the makeover outfit was often Lafayette. I've been scoping out Milly lately as well, but haven't bought anything yet. Have been losing weight over the past year, so not buying many clothes until I figure out what size I end up. Milly seems to only go up to 12 in the stores! Duchesse, we briefly discussed our mutual Michigan heritage in a post a few days ago....I was delighted to see your Hudson's reference. I'm a little young to remember the glory of the big store in downtown Detroit, but I remember my mom telling me about it....and my very first credit card (at age 18) was Hudson's! It was a sad day when they were taken over, first by Marshall Field's and then Macy's. I rarely shop at Macy's any more, I find the store messy and the selection unexciting. I'm a fan of Dillard's, which has way better stuff here in Texas. You've selected some beautiful possibilities here, but it was the post title that caught my attention. Two years ago, my aunt was buried in a SUIT of all things and it just felt so wrong. It may have been the best thing in her wardrobe, but I was certain she had not left instructions about her last "appearance" on earth. NEVER thought my enthusiasm for clothes would ever abate, but it has seemed a little more tepid than it used to be... Have picked up a couple of Lafayette 148 pieces, based on recommendations seen here. Will be interested to see how I find them! I read your post & was so pleased to see my new Brora coat , we have a Brora shop in the area . I felt a little warm glow to find I wasn't the only person who liked it . Yes, it was an instant attraction , quite rare these days . Perhaps when we had to save for things ,we actually appreciated them more? This post is downright brilliant (!) It's so true what you're saying. It seems any frissons I have come from shoes, a stunning scarf or my new earrings. I think I would have liked to have invested in a new coat --or two-- this season, but didn't. I think a couple of them would have given me that long forgotten joy you mention. At the same time I really can't think of anything I dream about like I once did, but maybe that's a sign of where I am in my life. I neither need or really want anything so the only way I would yearn for something is if it were very, very special. Do like the fringed skirt. I like it a lot. I've shopped @ Dillards in FL and like it, agree re Macy's. Too bad Field's and Hudsons lost their iconic status. C'estChic: While there is rarely one brand that is magic, hope you find things that please you. Anonymous @ 4:36: Oooh, lucky! Nice to hear from someone who actually has it. Tish: On sale now, available by mail order on their site, perfect for Paris. Like you, I get a big lift from accessories. OK - after Lisa's cashmere post this morning, I went on Brora and order two sweaters and THAT COAT! I don't know if I hope that I love it or hate it. I think Tish raised a good point that I was thinking about too. Is it partly age, and where we are at this particular point in our lives? When I was younger, dating, going to more parties, etc. - clothes were more exciting for me to purchase, as they had a real place and purpose. And I looked good in most things. Now, a lot of my shopping has to do with need, some with wants, and a lot with what is flattering! I love this post - I can really relate. I think my problem has been what C said upthread: for the past few years I have been addressing my middle-age angst about what looks good on my changing shape with an endless list of "rules" from all the wardrobe authorities who have cable shows or books. So there is no fun, only the fear of mistakes. 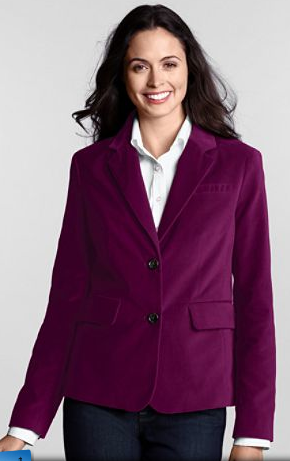 But last year, my husband urged me to get several luxurious and perfect-fitting jackets, and that joy about clothes returned - because I went for colors that I loved and soft fabrics, and I did not worry about the rules. I feel classy and pretty again. So I've resolved to enjoy my clothes, to not get anything unless I feel happy about it, and ignore the rules. Of course, there are fewer things that meet this standard, but if I pounce when I see something wonderful instead of shopping only from my list, I think things will improve. kathy peck: Hope that you are very happy with those! Anonymous @ 4:36 has the coat and sounds delighted. Murphy: Fear is such an efficient pleasure-killer, and not just for clothes. Good for you (and your DH) for flouting those "rules". For me, it is not about what others have decreed but an erosion in what's available. Have found things that are just right from time to time. I don't have anymore this heartbeat during sleepless nights, when thinking about a liebeskauf of a mostly very expensive piece. Like you, Duchesse, I have worn and seen most "trends", so no surprisings in the fashion world. A few remaining items, like a fancy Girbaud skirt, I wear with a EB V-neck and vice versa. Like to mix classics and unusual items. barbara: Your ensemble happens to be just what I would wear, too. And also like to mix classic an unusual, probably a bit more classic in the closet than there used to be. Would love to see you do a post on Vera Wang's photo spread in Harper's Bazaar. Post 60, long dark hair and clothes that would be considered young. All considered "don'ts" for women of a certain age. You always provide such good insight. Wang has always been a slight, fine-boned woman. At 62, she has the best body and face money can buy, and I'm going to guess there is plenty of will there, to maintain it. How much is training and discipline and how much is surgery and treatments, have no idea, but she certainly has the means to avail herself if she wants. Sometimes her personal clothing choices look graceful in that minimalist way, but sometimes (as in the photo of her in the black dress under the caption "Aging Gracefully) too waifish. Duchesse, you posted a lot about great Cashmere. Just now I read Lisa's post about the same topic. I wonder why neither you nor Lisa (other bloggers as well) mention Crew Neck Sweaters. Browsing Brora's Sale you will see, that V-Necks are mostly sold out, Crew Necks still available. What's the reason that we all prefer obviously the V-Neck? barbara: V-necks look far more feminine on me. I like to wear jewelry and the v shows it better. Also a v-neck is *far* more flattering for women with a bust. Lisa wears hers with a shirt or tee, I wear mine without. Eric Bompard had a lot of colours available in the classic 100% cashmere v-neck two days ago, and far fewer colours in the fitted vee. You have to act fast with the sales. The Brora coat and two Brora cashmere v-necks arrived today and I couldn't be more thrilled. 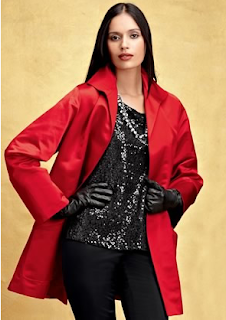 The coat is fantastic - so lightweight too, which is good for LA. And the sweaters make me want to get rid of my J.Crew's. Thanks for the introduction to Brora! I'm delighted you like your Brora purchases! Five or more years ago, much was made of the fact that J. Crew cashmere came from one of the 'name' Italian mills, but the quality has slipped noticeably. I also find the cut, with its high armhole and narrow torso, too tight for me in many styles.